I’m a HUGE fan of schnitzel. Actually the whole family of ours are too. The first time I made it several years ago, we all got hooked. 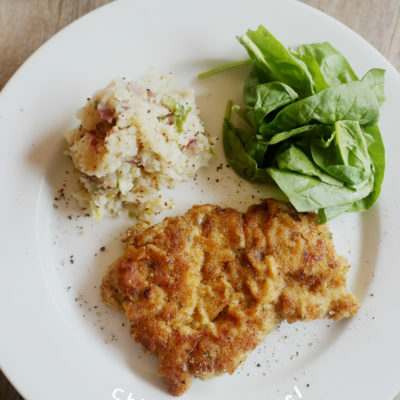 I made the Veal cutlet that time and it was a big hit ! Recently I tried it on the chicken and as expected, it was delicious. I think most of the work comes from pounding the chicken (if you want to consider that a “work”). It isn’t complicated or required much of your energy. 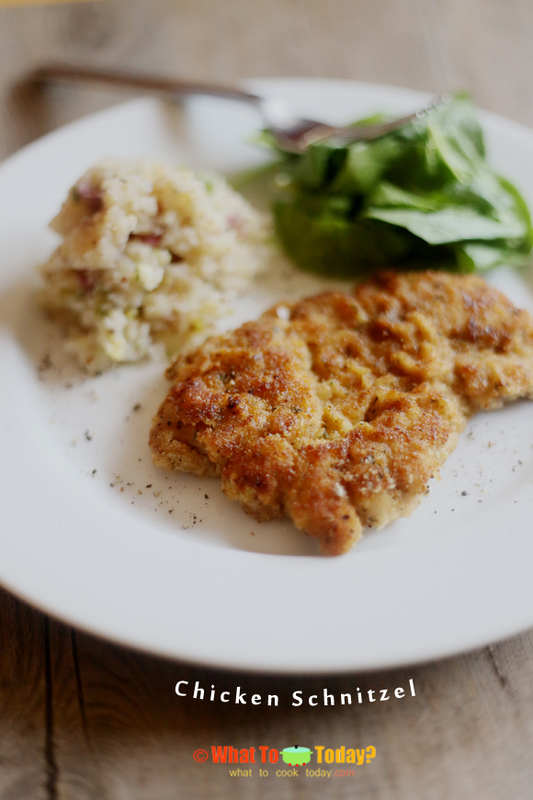 Pounding the chicken sure makes it tender and the thinness is just so perfect for little kids too. 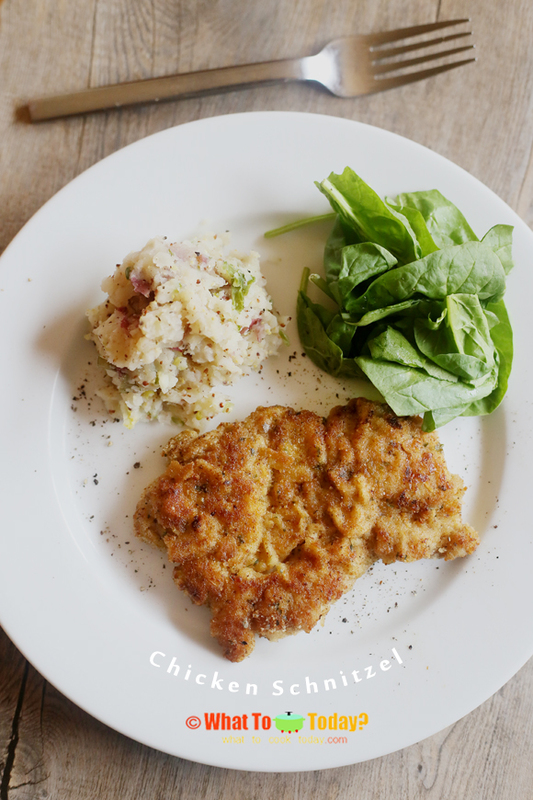 My two kiddos love it when I make schnitzel 🙂 So, it’s a real winner!